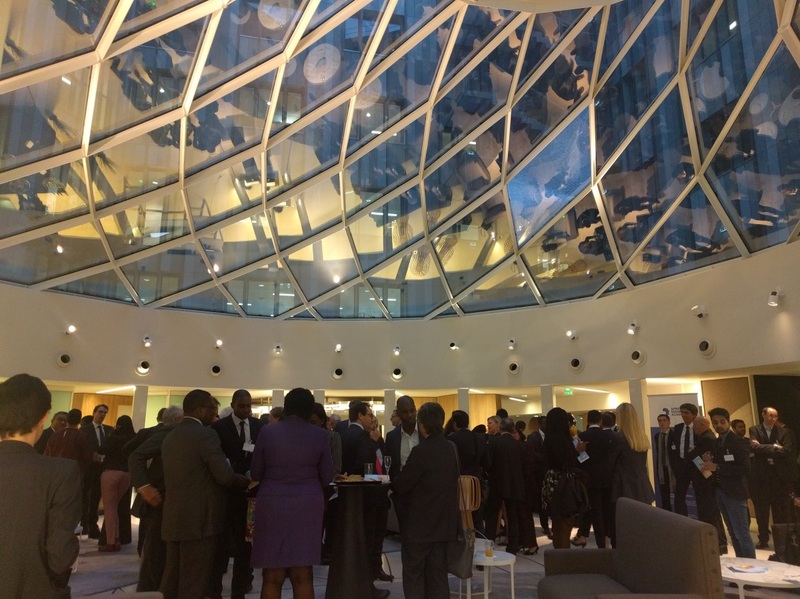 On Monday 16 October, we hosted a launch event for the African Business Academy (AfBA) in Paris. The African Business Academy is a non-profit organisation whose mission is to promote African investment and encourage sustainable investment on the continent. Members include investors of various sizes. AfBA president Stéphane Brabant spoke at the event touching upon the Academy’s core values of listening and respect, sharing and impacting, and opening up and engaging. He also spoke of the initiatives launching in 2018, including workshops for investors delivered by key African figures that will take place in Paris. He emphasised the Academy’s importance in fostering dialogue between Africans and investors, in order to best identify practices and models of excellence for investment on the continent. Several notable members of AfBA’s board attended the event, including Marlyn Mouliom, board member of Afriland First Bank, and Gaël Le Boulch, head of open innovation at in a major energy company. Other board members include Aminata Niane, international consultant and board member of Atos Group, and Didier Acouetey, president and founder of AfricSearch Group. We were delighted to welcome Serge Kakudji, a famous Congolese countertenor, for a memorable and moving performance. He was joined by Manuel Valentin, an anthropologist and African art historian at the Musée de l’Homme in Paris. In line with the African Business Academy’s mission, Manuel highlighted the lessons that African investors can take from traditional art when conducting business on the continent. Une « révolution verte » en Afrique grâce à la blockchain ?